In the same election which saw voters across the country elect Donald Trump, a ballot measure, Proposition 64, was passed by 56% of California voters; legalizing the recreational use of marijuana. Unfortunately, just because Prop 64 passed it doesn’t necessarily mean you can climb up into the attic and dig out your old bong and relive your glory days of high school; no pun intended. Although the voters passed Prop 64, by a pretty narrow margin for a progressive State like California, there are a few things you should know before you break out the Zig Zags and start rolling up a few joints, blunts, or whatever they are called today. First off, and I’ll get to this in greater detail shortly, the recreational use of marijuana is still a crime under federal law. I am also betting that a vast majority of those who voted YES on Prop 64 did not read the entire proposition. 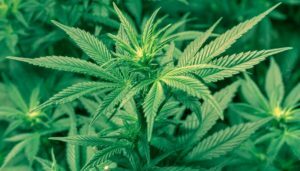 Had they done so they would have found that it still allows employers to enact workforce policies pertaining to the use of marijuana by their employees. This means that if you show up positive on a drug test the company you work for can, and most likely will, terminate your employment. The thing about marijuana is that it is not like alcohol, in that if you drink heavily on a Saturday, but allow yourself to sober up on Sunday, by Monday you would not fail a breathalyzer test at work. Marijuana, or to be more precise, THC remains in your body for much longer. This means that, depending upon how much you smoke, and the frequency which you smoke, the THC could show up days, weeks, even months after you stop. You may have been a regular smoker and quit two weeks prior to going in for a drug test for a new job, and still show up positive on a urinalysis. It is very likely that if you get off work on a Friday and smoke a few bowls at a party, that you will show up positive for marijuana on a Monday morning. So if you do decide to exercise your ‘supposed’ new found freedom to smoke weed, beware of your employer’s policy towards drug usage. The last time California introduced a ballot initiative trying to legalize the recreational use of marijuana, Proposition 19, back in 2010, the backers included a provision within it which prohibited employers from firing employees for marijuana use unless it affected their performance at work. Although the phrase affected performance is open to interpretation, it nevertheless doomed Prop 19 to failure. So, like it or not, just because marijuana is now legal in California does not necessarily mean you can get off work and go home and smoke a bowl or two. Is this fair, I do not believe it is, but it is reality. I do not think it is fair that someone can get off work and go home and drink a six pack, but NOT smoke a joint. Much of that may have to do with the residual paranoia from the rabid anti-drug culture and the ‘this is your brain on drugs’ ads we were subjected to. Listen, I smoked marijuana every day of my life from 1972-1979; after which I quit to join the Air Force. Although I would desperately love to be able to come home from work and smoke a bowl or two to relax, I know that there is a good chance that I may lose my job; therefore I won’t risk it, and neither should you if you value your job. That’s just life. Maybe someday in the future they can amend Prop 64 to prohibit employers from firing people for marijuana usage during their off time, but for the time being, if your employer has a policy which makes marijuana use grounds for termination; I would suggest you not push your luck. Even though there is nothing you or I can do about all this, I find it all that a tad bit hypocritical. I find it hypocritical that employers will disallow their employees to smoke a naturally occurring substance on their own time, but allow them to drink distilled liquor and beer. I find it a tad bit hypocritical that they will enact policies that prohibit their employees from smoking marijuana but allow them to take mind altering drugs as long as they are prescribed by their physician. How many workers across America are taking psychotropic drugs for depression, bipolar disorder, obsessive compulsive behavior, or a host of other mental illnesses while on the job? How many employees are taking opiates for pain while on the job? But a person can’t go home after work and enjoy a bowl of weed? Like I said, hypocritical. Then there is the fact that the smoking of marijuana is a federal crime; a fact which I hope to prove is a crime in and of itself. First I need to show you where exactly in the law the smoking or possession of marijuana is a crime. Title 21 of the United States Code is where you will find all the drugs which the government has deemed to be illegal. Title 21 of the United States Code contains the codified version of the Controlled Substance Act, which gives the government the authority to regulate and restrict the use of any drugs. Yet why aren’t alcohol and tobacco classified as drugs, even though they have a chemical effect upon the body? Well, that is because they are regulated by the Internal Revenue Code found in Title 26 of the US Code. All this means is that they are drugs which the government has allowed and has found a way to derive taxes from. So, there you have the law which makes it a crime to cultivate, possess, or use marijuana. Now let’s find the authorization for our government to enact such a law. So the 18th Amendment was repealed by the 21st Amendment, once again making it legal to purchase and consume alcohol; although they did allow States and local territories the right to ban it within their jurisdiction. The 10th Amendment clearly states, “The powers not delegated to the United States by the Constitution, nor prohibited by it to the States, are reserved to the States respectively, or to the people.” Therefore, if the power to control the growth, sale, or use of marijuana, or any other drug for that matter, is not found within those powers granted government in Article 1, Section 8, then it resides with the States or the people; and the people of California have spoken; passing a ballot measure making it legal to do so within their State. By what authority does the federal government exercise jurisdiction in regards to the enforcing of federal drug laws within the State of California, or any other State for that matter? The simple truth is they do not have any authority to do so; but that hasn’t stopped them, or local law enforcement and the criminal justice system, from arresting and prosecuting people for violation of federal laws the government had absolutely no authority to enact. Legally speaking a crime is committed when one person violates the rights of another; be it theft of property or harm done to another. Where is the crime against another’s rights, or harm brought to someone else when an individual, within the comfort of their home, decides to smoke marijuana? Jefferson said that liberty is unobstructed action according to our will, with the only limits being the equal rights of others. If you or I should wish to smoke marijuana, it is our right to do so, and the federal government should have no say in the matter. Jefferson also said that law is often but the tyrants will; and the criminalization of marijuana by the federal government is a perfect example of what he meant. Did you know that George Washington grew marijuana? Although it was for the production of hemp, he still grew it at Mount Vernon. Then, in the 1850’s, marijuana began being used for medicinal purposes and being found in pharmacies. It wasn’t until they began classifying drugs not specifically sold by pharmacies as poisons that marijuana began to become illegal. By 1905 twenty-nine States had enacted laws that specifically mentioned cannabis, while 8 States had it listed as a poison. All this led to the federal government enacting the Federal Pure Food, Drug, and Cosmetics Act of 1938. Prior to the passage of that act the government established the Federal Bureau of Narcotics, a precursor to the present Drug Enforcement Agency, led by one Harry J. Anslinger. Anslinger was of the belief that cannabis caused people to commit violent crimes, act irrationally and become overly sexual. The Federal Bureau of Narcotics produced numerous propaganda films promoting his beliefs; which are at the root of many people’s misunderstanding of the effects of marijuana today. Sure, it has the potential for abuse, as does anything else. How many functioning, (and non-functioning for that matter), alcoholics are there in America today? How many people have eating disorders that cause them to overeat and become morbidly obese? Yet food and alcohol aren’t illegal, why should a naturally occurring substance such as marijuana be? The point I’m getting at is that the federal government has erected this huge bureaucracy to enforce drug laws that they have absolutely no authority to enact. The DEA, (Drug Enforcement Agency), and the FDA, (Food and Drug Administration) would not even exist if the Constitution were adhered to by our government, as those powers belong to the States to regulate. But, just as in everything else we fear from terrorism to gun ownership, a well orchestrated campaign of propaganda has been constructed to cause us to fear the recreational and medicinal use of marijuana; although it would seem that the medicinal use of it is becoming slightly more common in certain cases. Yet the public’s willingness to allow the government to enact, and then its willingness to tolerate the enforcement of laws prohibiting the recreational use of marijuana only show how ignorant people are as to the actual powers held by our government, and how susceptible they are to propaganda. I don’t expect to change anyone’s minds by the things I have just said. I am only laying out the facts as I have found them. I think people are gonna go on believing whatever they want to believe regardless of the facts presented to the contrary say. And that is why I titled this little ditty the way I did; just more pesky facts that nobody will listen to anyway.